Interested in ending interpersonal violence on campus? Preventing unsafe alcohol and drug use? 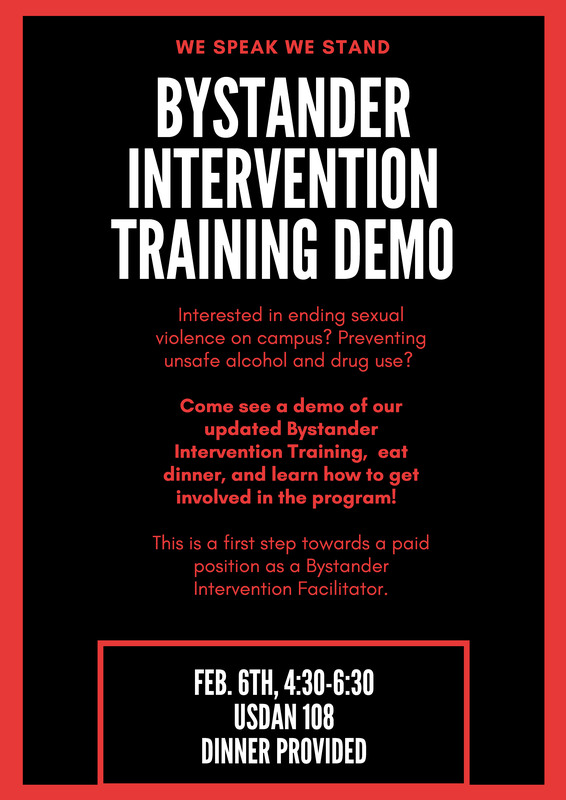 Come get more information on Wednesday, 2/6 at 4:30-6:30 about becoming a We Speak We Stand Bystander Intervention Facilitator! For more information, contact Johanna DeBari (jdebari@wesleyan.edu) or Seirra Fowler (sfowler01@wesleyan.edu). Join SACE Student Advisory Committee!